Looks ok in person, would advise getting size up as it can be quite tight around the belly and waist. I love this top, It's very comfortable, so I wear it around the apartment. The cotton is good quality. I got it in a size Medium, and it fits me perfect (size 40 inch chest). 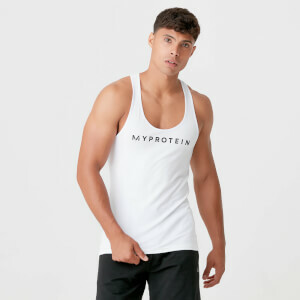 Theses Stringer Vest are very good material but very tight on my stomach. haha. It is showing my stomach while bulking. It is better fit during cut and ripped. It is awesome quality product. The item come the next day with everything i ordered i love the website and company would recommend 100%.. Really helpful with returns too.